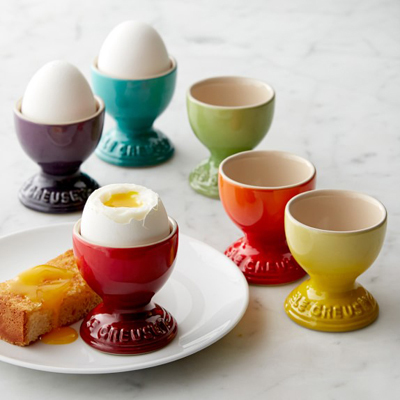 These charming Le Creuset Heritage Stoneware Egg Cups celebrate the enduring beauty of Le Creuset, echoing the rich colors and classic finishing details of the company’s legendary cookware. Great for breakfast or brunch, they provide the perfect presentation for soft-boiled eggs. Set of 6. $40. Buy here.